Pinterest has quickly become everyone's favorite go-to platform for finding ideas and tidbits of information on all sorts of different topics. Its visual interface makes it easier and more fun than ever to keep everything organized by pinning things to the right board. Some of the early Pinterest users that consistently kept pinning all sorts of great content over the years have been able to grow their followings by the millions. And for many webmasters out there on the increasingly crowded and noisy internet, Pinterest is the big web traffic driver they depend on to keep them in business. The following Pinterest users have longstanding reputations for posting exceptional content on a pretty regular basis. Have a look and give them a follow if their pins pique your interest! At 13 million followers, Joy Cho is one of the top most-followed Pinterest users. She's a Los Angeles-based designer, blogger and food enthusiast who has worked with big brands like Target and Urban Outfitters. You're bound to come across something that fits your creative taste by browsing through her 65 different boards. Virtually all of her boards are lifestyle categories like travel, food, home and beauty. What really makes her boards stand out are the types of categories that are so unique. Her Mini Travels board, for example, is a great one to follow if you're interested in tips, gear, and ideas for traveling with kids. While some of her boards don't exactly include hundreds or thousands of pins you can look forward to browsing through, you can count on Joy for stressing quality over quantity. Interior designer Maryann Rizzo is all about gorgeous home decor, architecture, landscaping and everything else that has to do with making your home as beautiful as possible. She definitely didn't attract 9 million followers by pinning mediocre content. If you take a look through her 268 boards, you'll notice that a huge chunk of them are centered around various appealing design categories, neatly broken down into all sorts of separate components for easy browsing. Need ideas for furniture of a particular color? Maryann's Painted Furnishings board can help you out with that. What about furniture that has more of a wooden, natural look? You can check out her Au Natural Furnishings board for more ideas there. 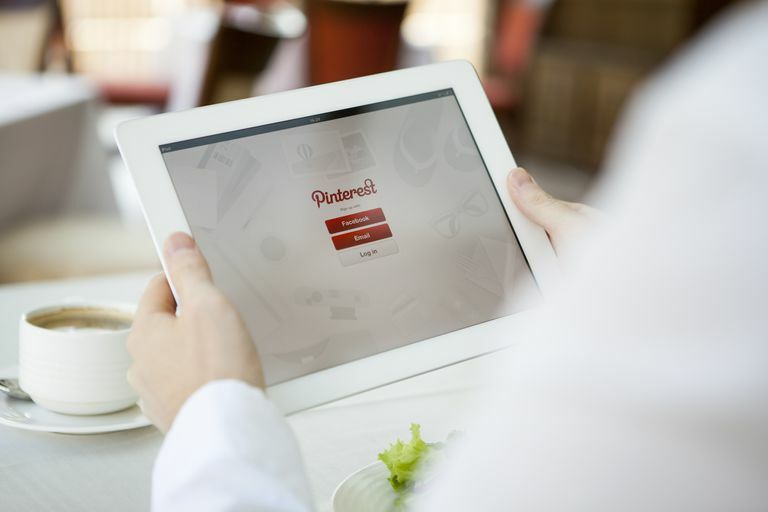 By now, you should be aware that Pinterest is an extremely visual, image-based social platform. For photographers and photography enthusiasts, it means more opportunities to show off and view more beautiful photos! Bekka Palmer is a Brooklyn-based photographer who takes the third top spot on all of Pinterest, with 8 million followers. The boards closest to the top of her profile focus mainly on photography, and as you scroll down, you get to see more pins of helpful lifestyle sources like food, gardening, and apparel. Bekka only has 63 boards, but they're all packed full of amazing pins. Her top boards have hundreds of pins, and as you get into more of the lifestyle stuff, you'll find really cool boards like Scissors and Casa. Lifestyle content can really encompass almost anything, but the folks at PoppyTalk have really nailed the most exciting and essential areas. PoppyTalk is a blog that's been around for over a decade and mainly features content on design, DIY, handmade and vintage content. You'll find over 21,000 incredible pins scattered across 133 boards. Unlike a lot of the other popular Pinterest users in this list who are big designers and bloggers, Jane Wang doesn't offer a whole lot of detail about who she is in her bio section. It's not entirely clear whether she's a penguin living in Antarctica or not, but it's okay if she is, because she really knows how to pin great stuff! Jane has over 7 million followers and 48,000 pins to discover. That's a lot of browsing and pinning to do. Editorial and commercial photographer Bonnie Tsang has a bit of a different vibe on her Pinterest profile, offering her followers a variety of pins represented by very clear, crisp and simple photos on her 25 boards. Overall, her boards look a lot less "busy" than a lot of other users make their boards out to be. Being the sixth most followed user on the whole platform and named one of the "Top 30 Pinterest Curators to Follow" by Time Magazine, you can bet that her pins are of the highest quality—despite lacking some of the color and detail that a lot of the other stuff people tend to pin. With over 7 million followers and more than 33,500 pins scattered across all her boards, Evelyn's Pinterest profile is hard to pass up after a short glance at all the gorgeous images and board titles she has. And if you have dreams of traveling to all sorts of new places all over the world, her boards are perfect for you! Most of them are neatly organized entertainment and travel categories at the top, which then flow nicely into photography and lifestyle collections like food and fashion. Bookworms should check out her Books Are Portable Magic board for reading inspiration and title ideas followed by her travel-specific boards for each continent. Molly Pickering only has around 12 boards on her Pinterest profile, but that's no major problem for her 7 million followers. Her boards mainly focus on cool photography and images with a few that are geared toward lifestyle categories sprinkle in there as well. Her biggest board is her fashion board, with over 1,000 pins. And if you're into interior design, her en la casa board is worth looking at too. Are you a fan of simple imagery and great lifestyle ideas? Then you need to check out Pejper on Pinterest—a Swedish lifestyle blog run by two women. Most images pinned by Pejper share the common theme of having a white or light background combined with high-quality photography. Unlike other Pinterest users who love massive detail and lots of color, Pejper's boards allow you to get a fast glimpse of what you can expect to find on each board and what they're all about. Their unique way of curating the best images and sources has been enough to earn them almost 7 million followers, with popular lifestyle content consisting of everything from jewelry and wooden objects to black and white photography and fashion accessories. Last in the top 10 most-followed Pinterest users is HonestlyWTF—a great little blog run by Erica Chan Coffman, who scours the web to feature the best in DIY, art, home decor, beauty and more. Right off the bat, you'll notice all the great boards there are for fashion and interior design categories. All pinned images are clear, colorful and interesting without being too overpowering. With 97 boards featuring more than 27,000 pins, what sets HonestlyWTF apart is Erica's dedication to curating extraordinary content. You'd probably have a heck of a time trying to find this stuff anywhere else! Check out their incredible DIY board or their food board to get a glimpse of how different and amazing their pins are.